Following major renovations that began in July and continued until December, Eckhart Library officially reopened on January 8. 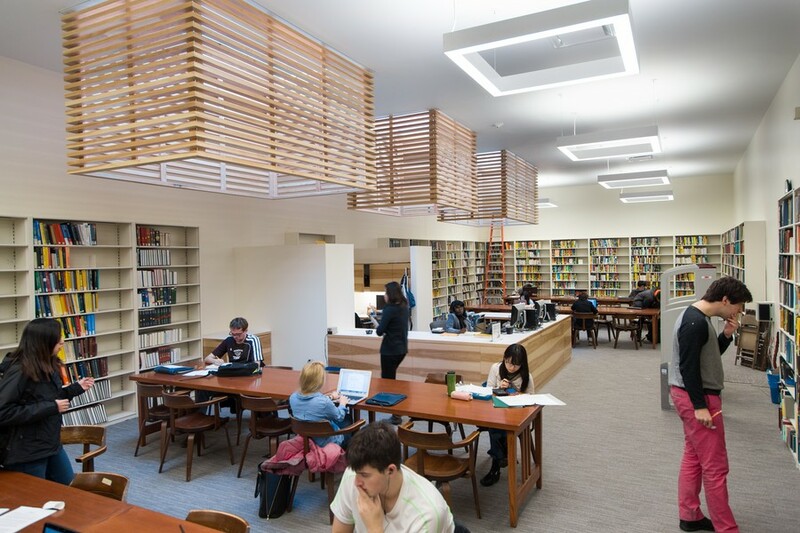 According to the University Library News Blog, the renovations were commissioned in order to accommodate the new faculty offices installed adjacent to the original space. The study space has downsized, with 40 seats available for student use, as opposed to 80 seats in the old library. Prior to the renovations, Eckhart was home to 60,000 volumes of mathematics, computer science, and statistics texts. Most of these reserves have been returned to Eckhart after being temporarily moved to Crerar Library. The renovations also include new walls lined with new bookstacks, replacing the old, multi-level stack system. New lighting and several skylights have also been installed. Eckhart Library will maintain the same hours and checkout procedures as last year: Operating hours are 9 a.m. to 8 p.m. Monday through Thursday and 9 a.m. to 5 p.m. Friday and Saturday.